T-R PHOTO BY THORN COMPTON - Marshalltown’s Olivia Brintnall makes a running backhanded strike at the ball during her No. 4 singles match in the Bobcats’ 9-2 win over Fort Dodge on Monday. Brintnall won her singles match and she and Madi Finch were victors at No. 2 doubles. 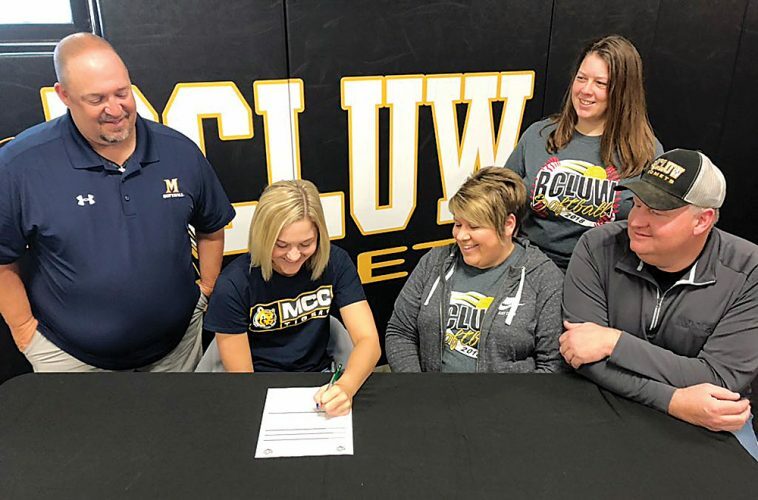 When the Marshalltown girls tennis team hosted Fort Dodge for a CIML Iowa Conference meet on Monday afternoon, the match was more about what each team had at the bottom of its lineup rather than the top. The Dodgers won both the No. 1 singles match and No. 1 doubles match, but the Bobcats swept the rest of the matches to pick up a 9-2 victory, their fourth-straight win of the year. MHS head girls tennis coach John Fiscus said ultimately his team proved to have more substance than Fort Dodge’s. 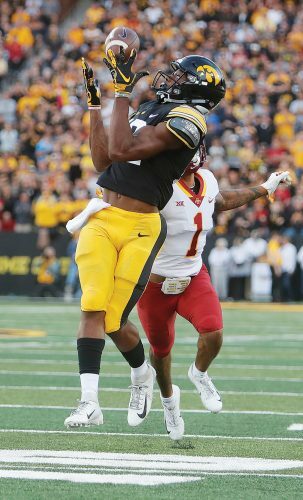 “Our depth has been a big plus in our early meets this year,” Fiscus said. In the singles matches, the biggest wins came from the fourth and fifth spot on the lineup card. Olivia Brintnall was a 6-2, 6-3, winner over Lizzie Baker at No. 4 singles, and Grace Fisher picked up a 6-2, 6-3, victory over Daisha McDonald at No. 5. Hel Ter was also a 6-4, 6-2 winner at No. 6 over Brianna Galvan, while Madi Finch won 6-4, 6-3, at No. 3 over Brooke Erickson and Mary Kate Gruening took a 6-4, 6-2, win over Ellie White at No. 2. 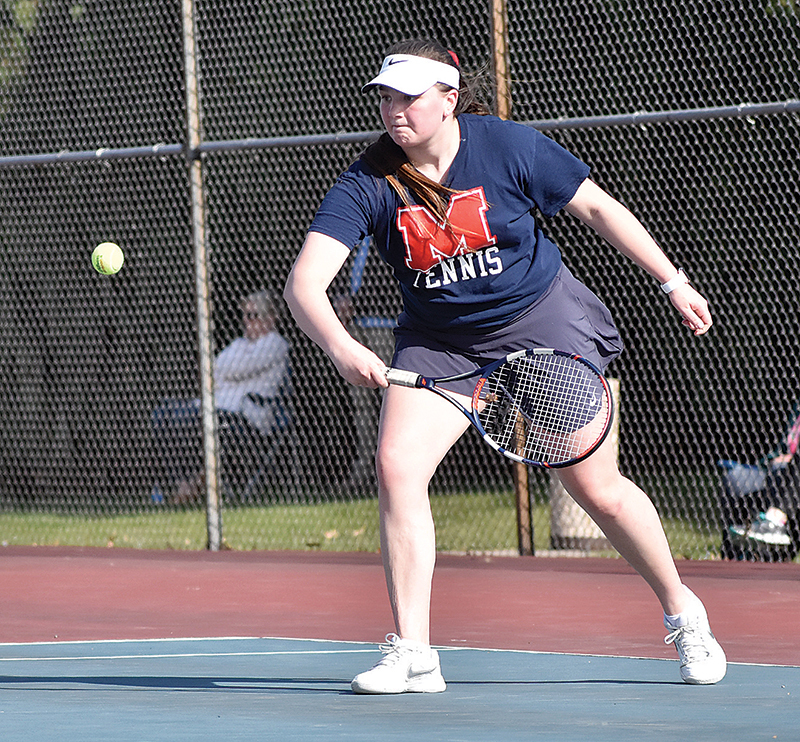 The Dodgers put up their biggest fight in the doubles matches, where two of the four Marshalltown wins came in third-set tiebreakers. Finch and Brintnall dominated the first set at No. 2 against Erickson and Baker, but the Fort Dodge duo battled back to win the second set, 6-4. In the third Finch and Brintnall imposed their wills again to take a 10-5 tiebreaker and a 2-1 match win. It was the opposite at No. 3 doubles, as Fisher and Jillian Lang fell behind with a 4-6 loss to McDonald and Galvan in the first set. Fisher and Lang would take the second set, 6-4, then in a back-and-forth third set the Bobcat pair would eventually prevail, 13-11. 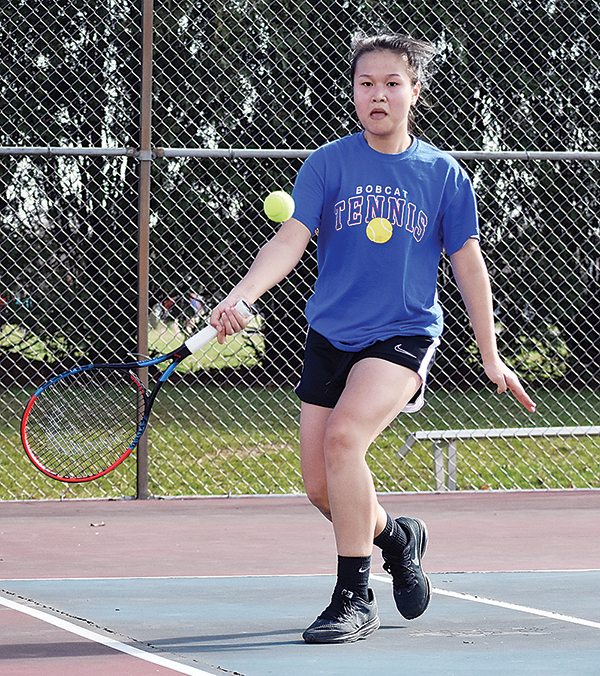 “The girls played a tough match tonight with two tie match breakers in doubles,” Fiscus said. The other two doubles wins weren’t nearly as harrowing. Ter and Carly Streets picked up a 6-2, 6-3, win at No. 4, then at No. 5, Emily Jacobs and Regan Smith won 6-2, 6-2. 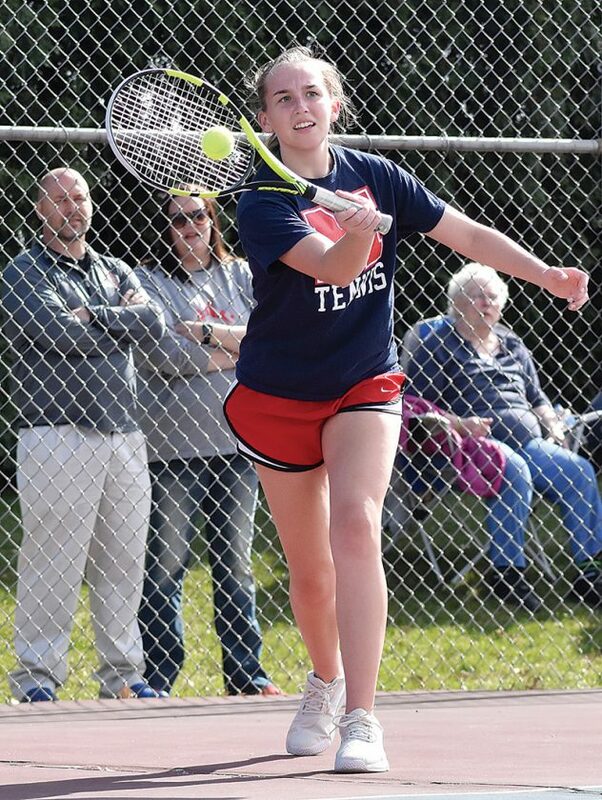 Marshalltown doesn’t get much rest now, as the Bobcat girls are back on the courts at home today with a home meet against Ottumwa, starting at 4 p.m.